1、Nevron Chart for SQL Server Reporting Services (SSRS) is an advanced report item delivering a complete set of 2D and 3D charting types, highly customizable axes, tight data integration and unmatched visual effects to your reports. It instantly improves your report authoring experience with its polished visual editors, exhaustive and refined settings and well-organized structure. 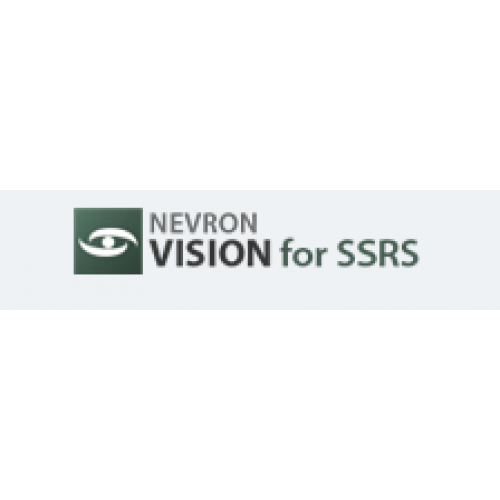 Nevron Chart for SSRS is an indispensible tool for any serious Business Intelligence, Scorecard, Presentation, Scientific or general purpose report. 2、Nevron Gauge for SQL Server Reporting Services (SSRS) is an advanced report item delivering a complete set of gauge types, highly customizable axes, tight data integration and unmatched visual effects to your reports. Nevron Gauge for SSRS includes Linear Gauges, Radial Gauges, State Indicators and Numeric Display Panels with support for unique functionality and visual styling. Nevron Gauge for SSRS is a must-have tool for any report that needs to display KPIs or mission critical data. 3、Nevron Map for SQL Server Reporting Services (SSRS) is designed to provide report authors with an easy and powerful way to create choropleth and highly informative maps that are tightly integrated with the data. Nevron Map for SSRS delivers a set of geospatial data analysis features and map display options offering the perfect complement to any report that needs to display geographical data of any type. 4、Nevron Barcode for SQL Server Reporting Services (SSRS) is designed to provide report authors with an easy and powerful way to create Linear and Matrix barcodes that are tightly integrated with the data. Nevron Barcode for SSRS delivers unique functionality inside Reporting Services, since there is no built-in barcode report item in SSRS. That is why this tool is a real requirement for any report that needs to integrate barcode display functionality.